Step back in time to when a modest complex was considered a luxury resort, and potato chips were health food. 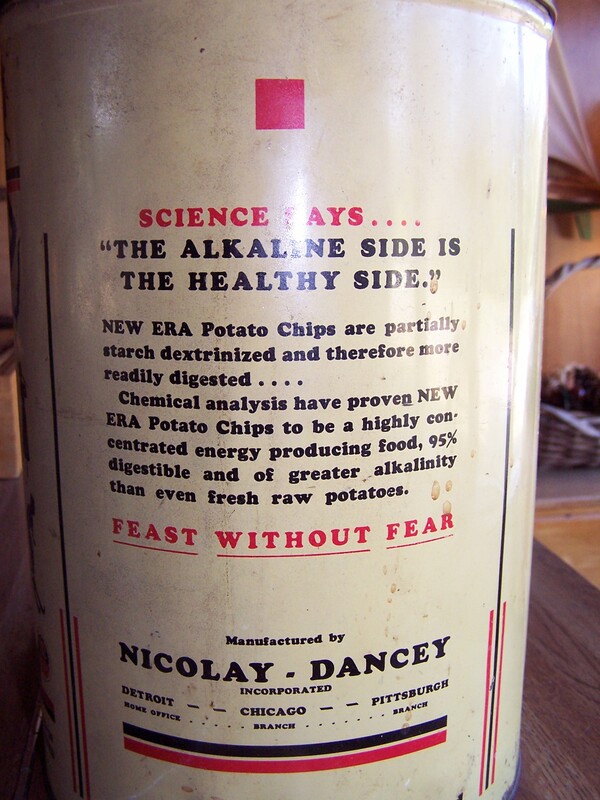 In 1951 the Nicolay Dancy Company produced the New Era Potato Chips, touted as a newer and healthier version of the potato chip. Nicolay Dancy, headquartered in good old Detroit, Michigan, was not only a purveyor of healthy snack chips, but also the proud owner of a luxury resort in Harbor Springs, Michigan, built in 1962 as a retreat center for New Era employees. Considered opulent for its time, the resort boasted two large field-stone fireplaces in the gathering rooms, a complex of plush hotel rooms, which surrounded a courtyard recreation area, complete with a heated pool and playground. All of this rested on a scenic bluff overlooking Lake Michigan. Apparently no expense was spared. Rooms included the latest in modern decor, including a 1962 attempt at reinventing the toilet, genuine ceramic tile in classic 60’s yellow, and real knotty pine paneling. 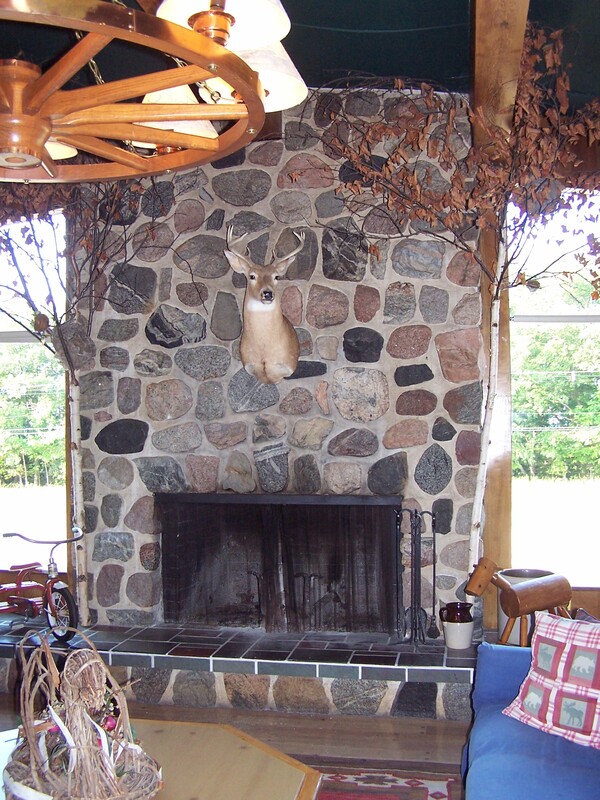 When the company was bought out by Frito Lay in 1982, the retreat center eventually became a locally run hotel, which remains mostly unencumbered by modernization, or as the owners prefer to call it, carefully preserved with the lodge aura intended by the builders. 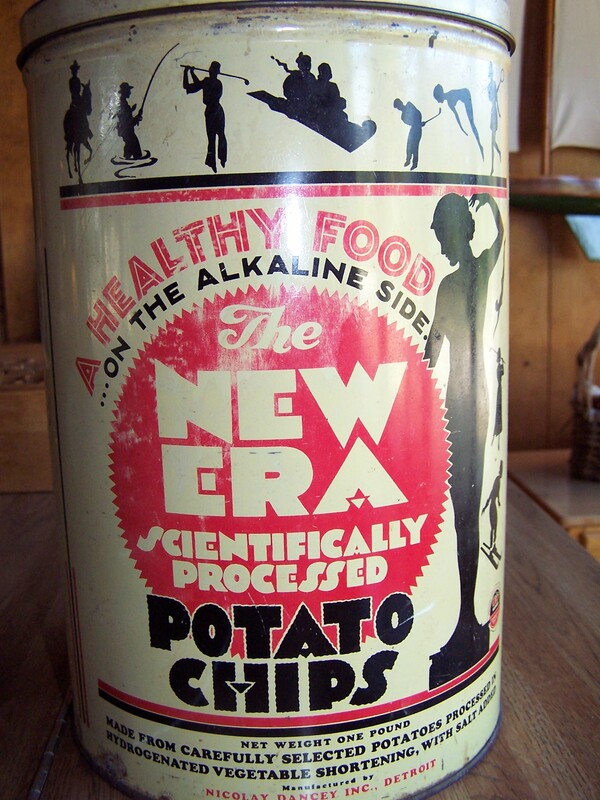 Chemical analysis have proven New Era Potato Chips to be a highly concentrated, energy-producing food, 95% digestible, and of greater alkalinity than even fresh, raw potatoes. Feast without fear! At the time, the FDA did not wield as much oversight of the food industry as it does today, so apparently New Era could get away with their healthy claims. So what was the secret to New Era’s healthfulness as an energy-producing food? The secret is revealed, right on the front of the can: “…processed in hydrogenated vegetable shortening.” Hydrogenated? Didn’t we just ban that a couple of years ago, because hydrogenated oil contains trans fats? But never mind that. Back then people didn’t care so much about cholesterol. Folks were free to enjoy their healthy potato chips in peace. Consumers trusted the food industry, and New Era chips, with its depiction of slim, active women on the can, were tasty and popular, and thought to be good for you too. And why not? Wouldn’t it be great if today we too could just chill and eat our potato chips, as if they too were scientifically proven to be healthy?